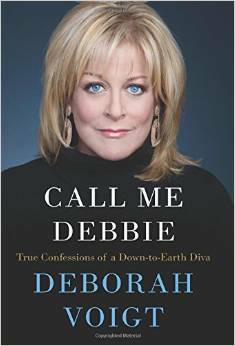 Down to earth American soprano Deborah Voight has released a memoir – Call Me Debbie, and is now on a book-tour. Being one of the most famous opera singers in the world doesn’t make you famous enough to sell books these days. There’s got to be more of a hook, some shiny metal that will attract people who’ve never heard of her, or been anywhere near an opera house. Yes, opera geeks, such people do exist.